When Event cubes are drawn from the Supply Bag, put them on the Events Track, one cube per space, starting immediately after the last occupied space; as you place each Event cube, resolve the Event immediately before placing any more Event cubes. The Events are described below. Resolve each Event before moving on to the next one. 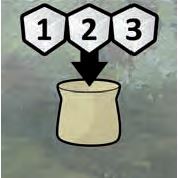 If the Events in 4, 7 or 10 occur, put 3 Event cubes back in the bag as described below. Events happen regardless of the weather. 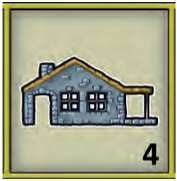 Remove all Rubble cubes from a number of Track cards/Building spaces, starting with the card closest to the start of the route, where the number is equal to the current Excavation Work Rate. 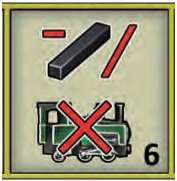 If you reach a Station card, take Rubble cubes from the left-hand space and then, if necessary and present, the right-hand space before carrying on up the mountain. No player gains Rubble or scores for excavations done in this way. Turn over a number of Track cards equal to the current Lay Track Work Rate, starting with the Track card closest to the start of the route. Remove Rubble from the Track cards if necessary (put them in general supply). Ignore Station cards when resolving this event. No player scores for track laying done in this way. Put one of the Game markers on to the first Station in the route that has not yet had all of its Building sites completed. Remove any Rubble on the Station card and return it to general supply. 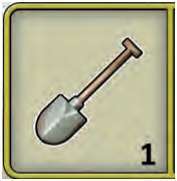 Players cannot carry out Excavate or Build actions in relation to this Station card for the rest of the game. Do not remove Ownership markers on the Station card; these can still be used for end game bonus scoring. 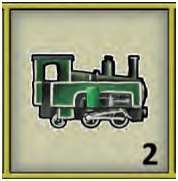 Trains cannot be bought by any player until this event has occurred; once it has happened, the Build action can be used to obtain a Train card. 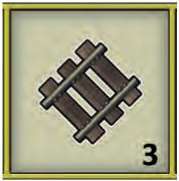 Each player with a Train card must immediately pay one Steel Bar to general supply or discard a Train Maintenance Contract card (16 and 21). If a player cannot, or chooses not, to pay, return the Train card to the Engine Shed. Put more Coal from the Supply Bag (if available) on to any returned Train cards, as indicated on the cards. If there is less Coal than needed, re-stock the trains in numerical order starting with the lowest. Coal cubes held by the player are unaffected. In addition to resolving the event on the numbered Event space, put the indicated Event cubes back into the Supply Bag. Continue to place drawn Event cubes into spaces after the right-most occupied space on the Event Track. This means that when the 10 space is reached, the 7 space will always be the right-most occupied space, and the events will loop through 8 , 9 and 10 until the end of the game.